Please join NAWIC Miami Chapter 41's monthly general membership meeting, where you will have an opportunity to network with female professionals within the construction industry. This month, we'll be hosting a holiday and end-of the-year celebration! 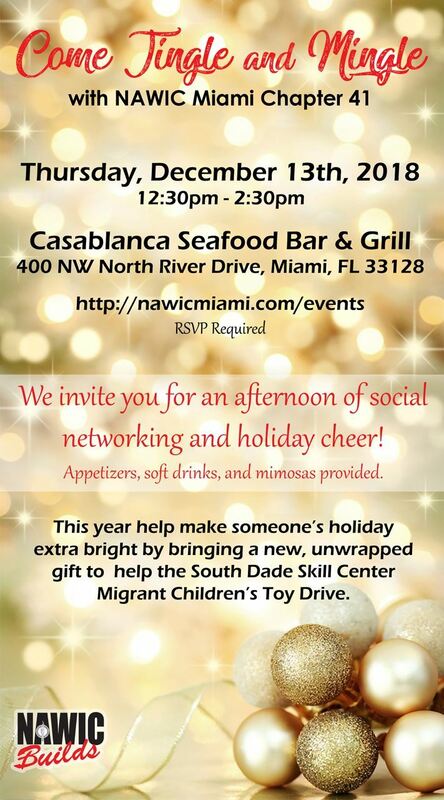 Bring a new, unwrapped gift to help the South Dade Skill Center Migrant Children's Toy Drive to spread holiday cheer to our community.